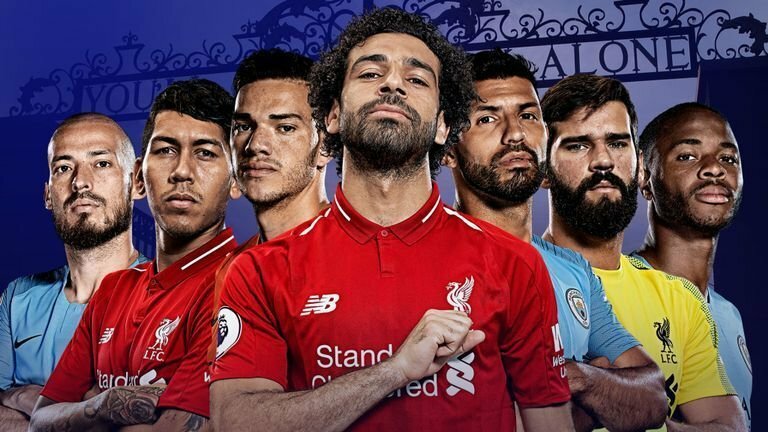 We are into the final stretch of the season, and Manchester City and Liverpool are going all in for the Premier League title. Perhaps, one could argue that it is more essential for the Merseysiders to finally get their hands on the coveted trophy after a 29-year wait. 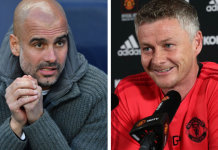 But Manchester City, who many thought gave away the title in December itself, are suddenly finding top form towards the business the end of the season. Pep Guardiola’s men are looking absolutely unstoppable since the turn of the year, winning a remarkable 19 out of their last 20 games in all competitions. 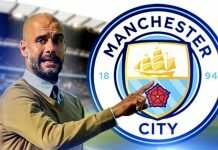 Though the media and pundits are being extremely vocal about a possible quadruple-winning season at Manchester City, Pep Guardiola is claiming that his team should not getting too ahead of theirselves. 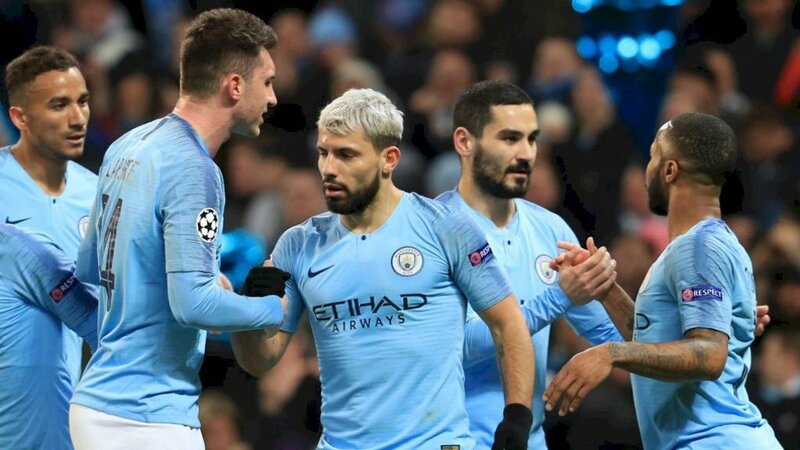 City have already won the Carabao Cup, are set to play Brighton in the FA Cup semi-final at Wembley and also battle Tottenham Hotspurs in a two-legged Champions League quarter-final. As for the league, Guardiola’s men sit only two points behind leaders Liverpool with a game-in-hand. No team in English top flight history has arrived in March still alive in all competitions. City fans are remaining coy on the even the slightest possibilities of winning all four, knowing that it would only take a couple of bad results to completely turn their season upside-down. 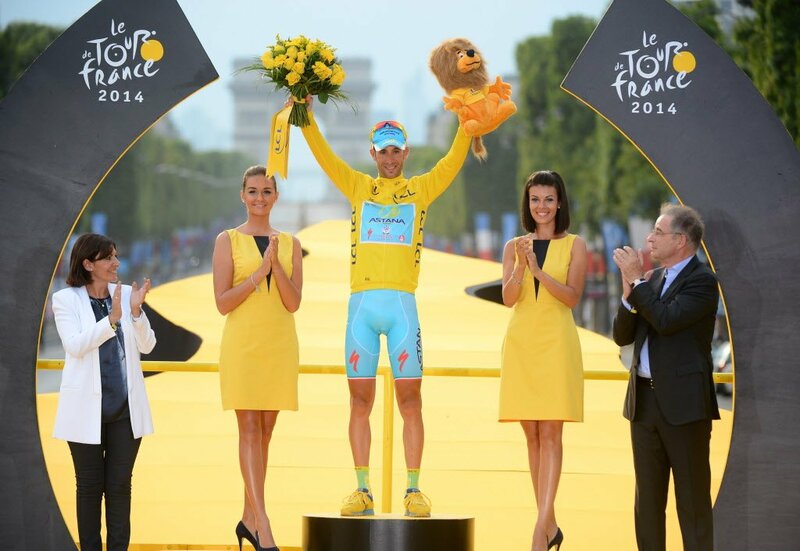 Liverpool, on the other hand, are looking to capitalise on City’s frantic schedule. Jurgen Klopp’s side bowed out of the Carabao Cup and the FA Cup in the beginning rounds of the competitions which has, in a way, favoured their Premier League run-in. 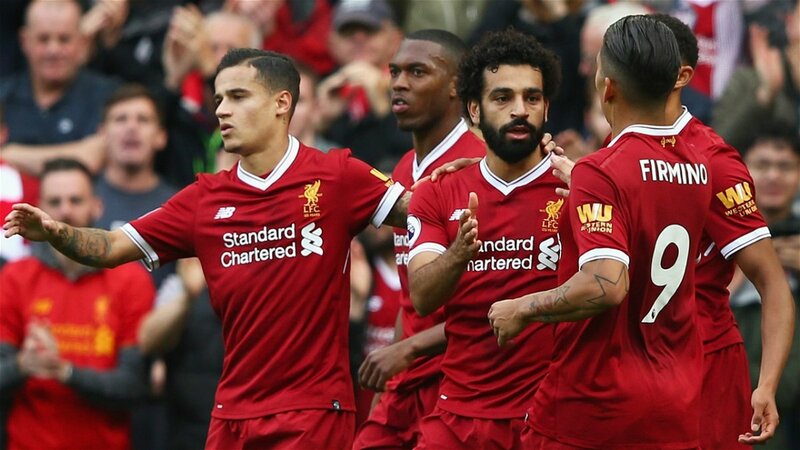 Though Liverpool are still going strong in the Champions League after knocking Bayern Munich out in the Round of 16, their subsequent draw against Porto might just prove to be advantageous in their quest for the title. Milner’s emphatic penalty late in the second half at Craven Cottage on Sunday meant that Liverpool regained top-spot again after disappointing draws against Leicester, West Ham and Manchester United helped City overcome a 7-point buffer. City, coincidentally, travel to Fulham in their first Premier League game after the international break before playing Cardiff at home three days later. Liverpool have a huge clash against Tottenham at home. A win against Mauricio Pochettino’s men would surely be a massive boost going into the last few games of the season. Whilst City are in FA Cup action at Wembley the following weekend, Liverpool have a tricky Friday night trip away to Southampton. The Saints have been completely revitalised by Ralph Hasenhuttl’s arrival, putting in brilliant performances against United and Spurs recently. The following weekend of Premier League fixtures for both City and Liverpool is sandwiched between all-important Champions League ties against Tottenham and Porto respectively. City have a crunch trip to Palace, who came away from the Etihad with all three points in a stunning victory late in December. Pep Guardiola will be wary of the Eagles, who have been somewhat of a bogey side for his City team. That game is followed by probably the biggest match of the Premier League title race when Liverpool take on Chelsea. Remarkably, Chelsea visit Anfield in the exact same game week as they did in 2014 when a determined Jose Mourinho spoilt all title hopes at Anfield. Liverpool fans will surely have that infamous Steven Gerrard slip in the back of their minds when the Londoners visit in April. That weekend of nail-biting action could possibly decide the Premier League crown. City, after playing Tottenham twice in the Champions League, host them for a Premier League encounter. 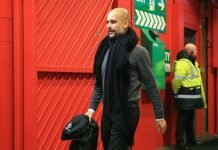 Guardiola was not bothered when he was told to react on the fact that his team play Spurs 3 times in 11 days. Rivals Liverpool travel to Cardiff with the Welsh side probably fighting for their lives come that weekend. Klopp will definitely be aware of the fact that visiting a relegation-threatened team could be the most difficult place to go during the end of the season. Manchester City will play their game-in-hand 3 days after the Spurs game. And it does not get bigger than that. City’s remaining game is none other than their cross-town rivals Manchester United. It could probably be labelled as the most important Manchester derby in years. The Red Devils are playing a different ballgame under Ole Gunnar Solskjaer, and would be ready to settle the score. Following the Manchester derby, three games remain for either team. Liverpool’s trio of matches are Huddersfield at home, Newcastle away and Wolves at home. While Manchester City visit Burnley, host Leicester and take a trip to Brighton on the final day. On paper, all six games look winnable for both sides, but with the added pressure of a title looming on their heads, even the easiest games on-paper turn out to be the most gruelling. Games against Leicester and Wolves are always tricky propositions, and away games at Turf Moor and St. James’ Park are cagey and defensive, with zero space to penetrate. It seems as if this year’s title race is as close as it can get. Manchester City have incredible experience in winning last minute titles courtesy of star-striker Sergio Aguero. The Citizens also eclipsed Liverpool for the title in 2014 when the Reds remarkably lost their bearings against Chelsea and Crystal Palace. Only time will tell if Pep Guardiola’s Manchester City have the mettle to win back-to-back titles, or does Jurgen Klopp’s Liverpool manage to finally win their first ever Premier League championship of the modern era.